As God has blessed CMMBC, we desire to bless others. Money cannot be used to separate those who can use the camp from those who cannot. We trust God, through the generosity of His people, to provide for our needs. Volunteer hours for facility use are graciously accepted in lieu of cash. Meal preparation for events is available at a cost of $5 per person per meal. Limited linen service available for $5. No alcohol allowed on the camp premises. 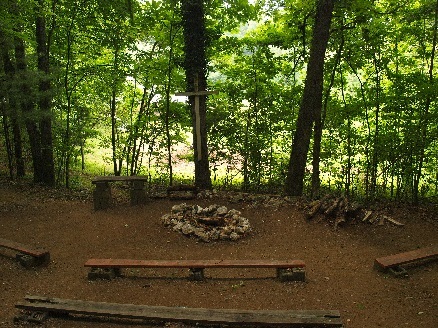 No tobacco products allowed on the camp premises during summer Bible Camps. The facilities are expected to be clean prior to your departure. Please bring your own sleeping bag or twin sheets, pillow and towels. 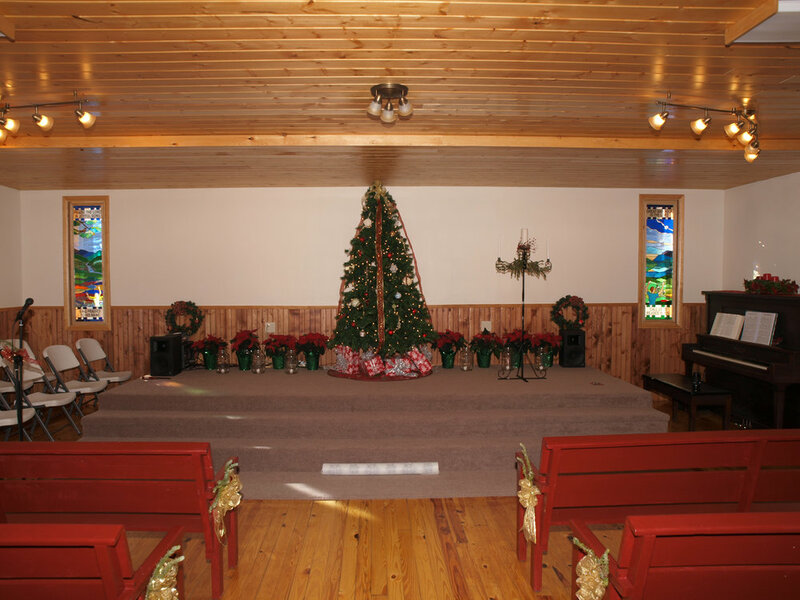 The Chapel is handicap accessible and can comfortably seat ~100 people, is suitable for year around use, and has a piano, sound equipment, and a projector. The Dining Hall has a commercial kitchen, is suitable for year around use, has central heat and air conditioning, and has tables and chairs for ~75 people. The Dining Hall can seat up to 100 people if extra tables and chairs are borrowed. This building also has 6 rooms with bunk beds and shared bathrooms that can be rented for $20 per room. Upto 24 people can be housed in the Dining Hall. The Staff House can sleep up to 18 people across 4 rooms (4, 4, 4, and 6 per room) and has 2 full baths. This building has limited heat and air-conditioning and is only available during the spring, summer, or fall. The Recreation Hall has 2 ping pong tables, an air hockey table, 2 carpet ball tables, foosball and sport equipment. Adult supervision is required for use of this building. The Pavilion area has 9 picnic tables and can seat ~50 people. 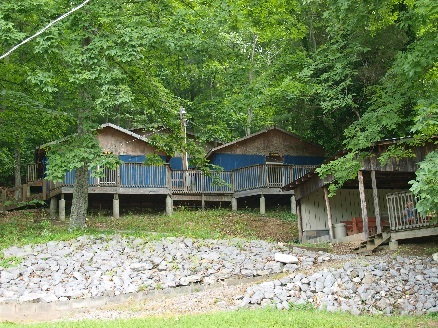 These open-air cabins (named Antioch, Berea, Corinth, and Damascus) can each sleep 8 people during late spring, summer and early fall only. The Boys' Bathhouse is available for use during the late spring, summer and early fall only. It has 4 showers, 4 toilets and 4 sinks. These screened cabins (named Galatia, Hebron, Iconium, and Joppa) will each sleep 8 people during the late spring, summer and early fall only. 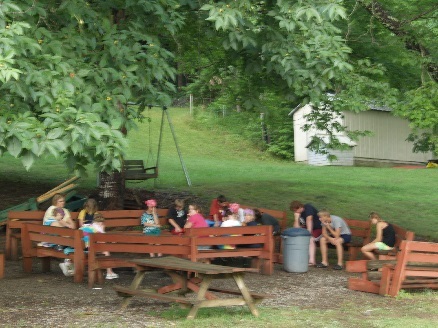 Galatia and Hebron share a meeting space with a picnic table in the middle of the cabins. 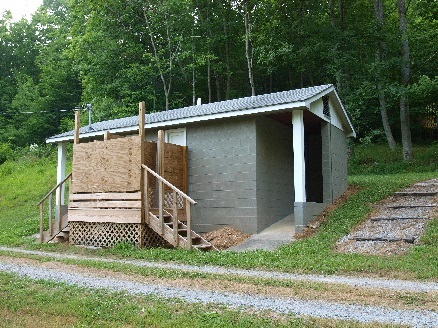 The Girls' Bathhouse is available for use during the late spring, summer and early fall only. It has 4 showers, 4 toilets and 6 sinks. Ephesus is a small pavilion near the campfire circle that can seat ~15 people.